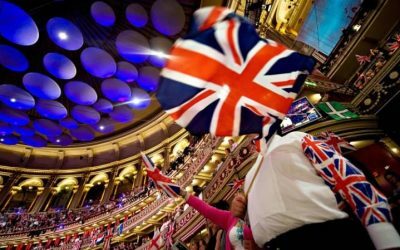 It is with great pride I write my own account of watching The Last Night of The Proms on BBC television this evening (Saturday 10th September 2016) – the 122nd such event since initiated by Sir Henry Wood, its Founder. The earlier reported concerns regarding protestors who had supported the ‘Remain’ Campaign (at the time of our National Referendum in respect of leaving or remaining in Europe), having stated they would ensure many European flags would be seen waving during this important National Musical Concert at The Royal Albert Hall in London, proved to be a non-starter, thankfully. I only saw four European flags being waved, two rather timidly by a couple in front of the stage and two by student age groups, located at the back of the auditorium. A row of various small flags were attached to the conductor’s rostrum and one small European flag was visible, however, next to that, the Canadian Maple Leaf, (representative of Her Majesty’s Commonwealth), so give the person who designed that display a medal, as it was a clever and subtle statement in itself – out of Europe but we still have the Commonwealth. Whether that was intended or not it proved to be a great Public Relations move. It also begs the question for those loving Europe so much, why did they not wave European flags in all the years we were actually ‘in’ Europe – the students I noticed this evening were not even born then and the other couple may only just have been old enough to have voted to join or not join Europe in the 1970s, when it had a different meaning, though still unattractive to many. What really filled me with pride was to see the overwhelming presence of larger than ever Union Flags, Northern Irish, Scottish, English and Welsh ones plus two very inspiring daffodils, also representative of Wales. There was a large presence of English flags. All inspiring at this crucial time in our history of UK Nations. I was equally moved and thrilled to see in the audience an Indian lady (most probably a British Citizen, either new to the UK or 2nd or 3rd generation British Citizen), who was smiling as she draped a Union Flag around her shoulders and was hugging the same with pride. 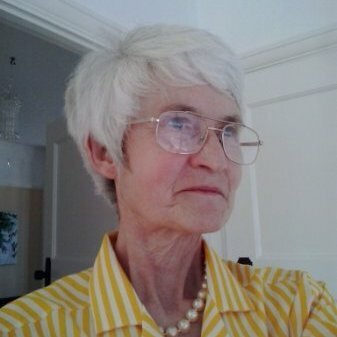 She was representative of the ethos of an all inclusive Great Britain and whoever this lady is, she is a wonderful Ambassador of how we used to be, must be now, and remain so in the future. It brought me joy and encouragement to see her there and note such obvious pride by her actions and commitment to the United Kingdom/Great Britain. By her very presence and actions she said more than a hundred political speeches could – no oratory can compare with such a fine altruistic example. Then again, my eyes were moistened to see the participation and unique musical contributions from Northern Ireland, Wales, Scotland and England. Outside the Royal Albert Hall to hear the masses in Hyde Park, London sing their hearts out would have its own effect on any viewer. Large banner style flags were in abundance and waved proudly – Union, English, Northern Ireland, Scottish and Welsh Flags. Even more fascinating to note (no musical pun intended) was the demographic of age groups as everyone was represented, both male and female, agile and less so. The traditional songs of all UK Countries, sung by respective choirs, established a true feeling of union between us all and that is how it should be, and as we always were, therefore it makes sense that we should remain close with so much shared history, through good and bad times alike. I doubt Nicola Sturgeon would have been pleased with the results of any straw poll if taken at this event tonight. It was soon apparent, more than ever, that the Promenaders were eager to sing the traditional (and participatory) songs of the UK. The only disappointment for me was when the Conductor made his speech, which commenced in a thought-provoking and surprisingly philosophical way, but gave a tacit political nod to pacify an inferred sympathy for a particular stance. That said, it was so ambiguous (despite emphasis of presentation being stressed) that the moment was quickly surpassed and back on track. I do wish, however, that guests in our Country would keep their own political thoughts to their own environment, especially so if they are leading one of our most important National Annual events. Other than that non-diplomatic remark, his musical contribution as Conductor, and the formal thanks he gave to all who had taken part was impeccable. He honoured Sir Henry Wood then Promenaders who had attended the programmes during the whole season and had raised over £100,000 which would go towards musical charities. It was most touching when someone from the audience shouted out during his thank you list to others – ‘and you’! The various choirs and musicians both inside the Royal Albert Hall and at outside locations throughout UK Nations were all superb as also were a unique group of singers presented as the star performers of the future, yet they are that now, proficient in every way. Sublime. The magnificence of the harp and its player provided a gentleness in performance together with deftness of sound by oboe, flute violin, clarinet, all of which were contrasted by the depth of soul emerging from the Organ imploring all present to be ‘at one’ within this great musical Cathedral. The whole orchestra performed together wonderfully and with a great sense of fun! The audience participation in Rule Britannia, The Sailors’ Hornpipe dance (drunken sailor routine – and flautist/piccolo soloist providing that effect, in music only, at least as far as one could tell !? ), ‘Land of Hope and Glory’, ‘Jerusalem’ – (celebrating 100 years this year), then the National Anthem, were all sang with a strong pungent emphasis and deep respect, even moreso than ever I have heard before despite it always being impressive), yet one could sense a new reference and pride post Brexit. A resurgence of sorts, which is needed right now and perhaps that is the point for us all. As the choir began the National Anthem commencing in hushed tones, there was a gentle yet audible rustling of seats as one could see people rising from their seats in respect. A wonderful arrangement and presentation of our National Anthem, God Save the Queen, was reassuring and honourably presented – despite few ever knowing all the words to the second verse, they all definitely did to the first, and showed it ! They sang from their hearts, that much was obvious, so I hope Her Majesty The Queen can be shown a podcast. Theresa May should also see a copy of this special occasion (assuming she was not present ‘unofficially’). There was a lot of humour present integral to the evening, which I will leave for you to see for yourselves online, but look out for a fantastic tribute to Paddington Bear by the male guest soloist of the evening and when ‘There’s no place like home’ was performed the tissues were handed around, literally, to great effect, no doubt rehearsed, but most amusingly done. One could sense an electric atmosphere and a sense of pride within everyone present. Most certainly not Mr Obama, you must have been thinking of yourself in retirement as our Great Britain is open for business with a Commonwealth Family of 53 Nations, Dominions and Protectorates, of which Her Britannic Majesty is The Head. Next post Admitting Guilt: Who 'do' us this kind thing?